Rather than have this be the shortest blog post ever, I want to refine my answer a bit. 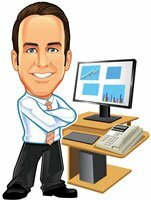 There is no deduction for Roth IRA contributions since money goes into these accounts after-tax. But there may still be a tax benefit to making Roth IRA contributions, aside from the potential for tax-free income in retirement. The potential current tax savings for Roth IRA contributions can come from something called the Retirement Savings Contributions Credit or the Saver’s Credit. The Saver’s Credit actually includes contributions made to traditional IRAs and employer sponsored plans, as well. The full list of eligible accounts includes IRAs, Roth IRAs, SIMPLE IRAs, 457 plans, and 403b accounts. According to current IRS rules in 2019, you are eligible for the Saver’s Credit if you are older than 18, not a full-time student, and not claimed as a dependent by anybody else. The Retirement Savings Contributions Credit ranges from 10-50% of contributions to retirement accounts depending on your adjusted gross income. 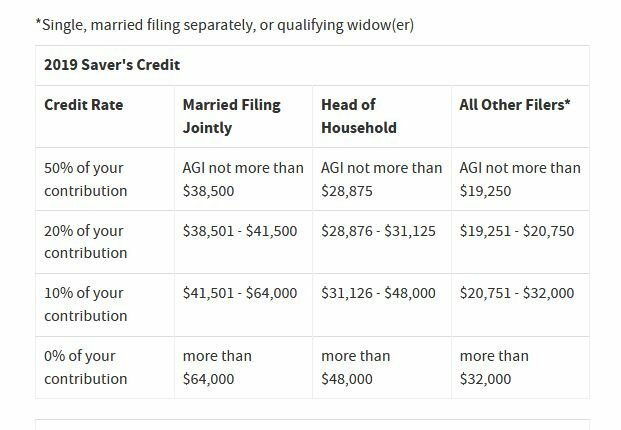 The credit cannot be for more than $2,000 total per person ($4,000 if you are married and file together). Now, for an example involving a Roth IRA. Let’s say John is single, 28 years old, and has an adjusted gross income of $30,000 for 2019. John puts $3,000 away in his Roth IRA. While John does not get a DEDUCTION for his $3,000 Roth IRA contribution, John does qualify for a 10% tax credit. John’s 10% tax credit entitles him to a $300 reduction from his income tax bill in 2019. Pretty good. There you have it. While Roth IRA contributions are not tax deductible, they may still yield some benefit via the Retirement Savings Contributions Credit.